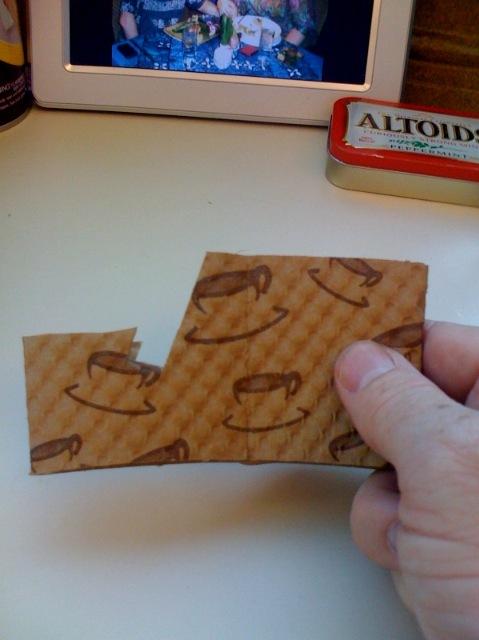 I was inspired by a similar project of folding and cutting a business card that was too flimsy. 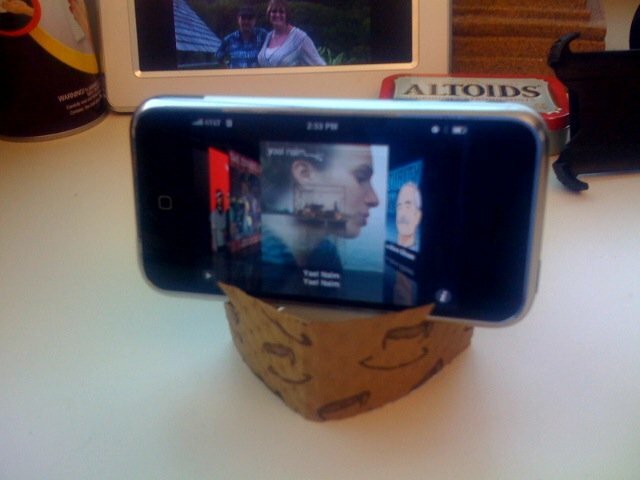 I found a use for those cardboard coffee sleeves. 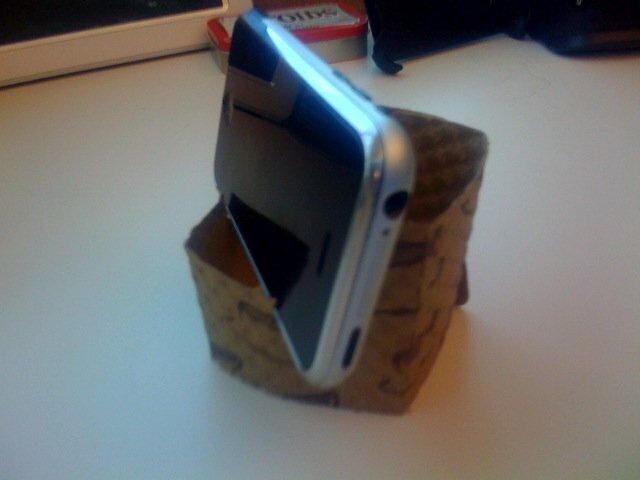 With a few simple tears (or as in this case some cuts) you have a stand for your iPhone that perfect for the desk or my favorite use, the table on the train ride home. I think it’s pretty self explanatory how it works. Oh, my bad. It’s not actually meant to have a dark brown background – twitter’s being down means the page doesn’t finish loading until something has timed out (seems to take ~60 seconds?) and then it finishes loading. I didn’t even notice the first time until I’d pressed submit.